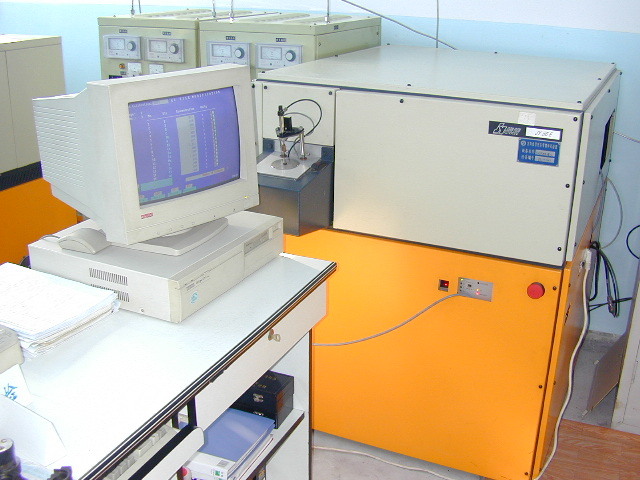 Spark Emission Spectrometer was from Jobin Yuon Co. Jobin Yuon Co. became part of the Horiba group - a world leader in the field of automotive exhaust analysis, environmental and medical analysers and scientific instrumentation. The type is JY 56E. This tester can analyze the elements of material. Its test limitation is ppm-100% and the accuracy is 1ppm.